Get with it man, the red blend is almost gone! How to turn a shed into a table and a chimney into a flower bed. I love anything FREE. I mean, come on, who doesn’t. Right? 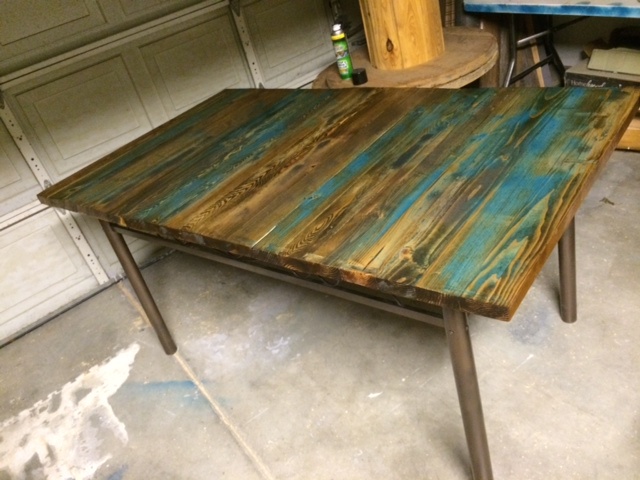 Re-using or repurposing is hip nowadays. So, get with it man and create something amazing! 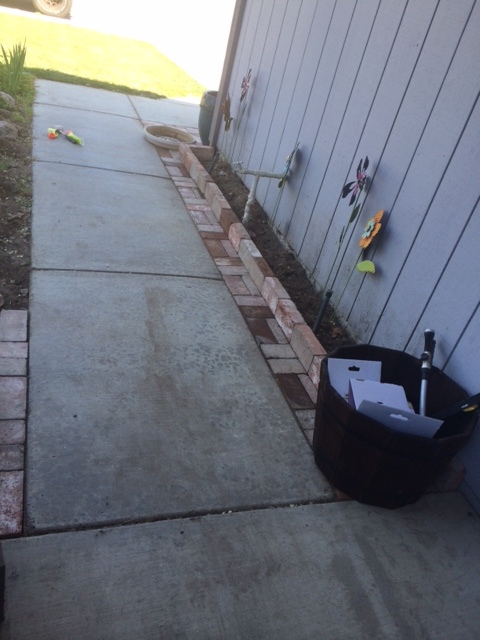 Arvin dropped off some used bricks from an old chimney that he had removed. They are from the 1930s! 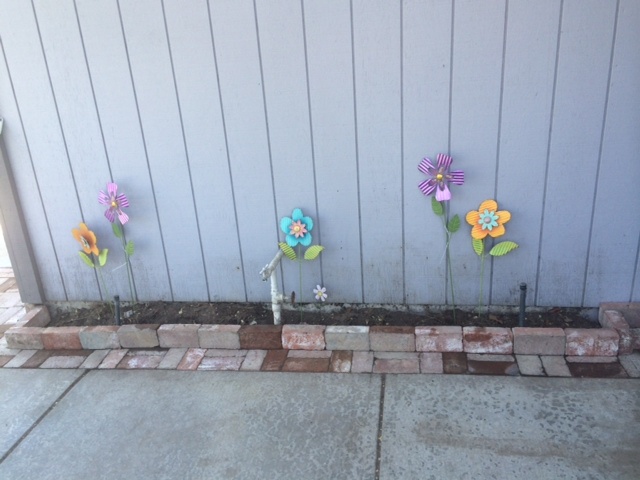 They now line my walkway making it wider and I even got a nice little flower bed along the house. So sweet and so EASY. So, keep your eyes peeled when you’re driving around town. You just might see me on the side of the road salvaging giant sections of cut down tree. Larry liked the aroma of this Sauvignon Blanc, he thought it was citrus or apple. Terry commented, “Oh, tastes good. 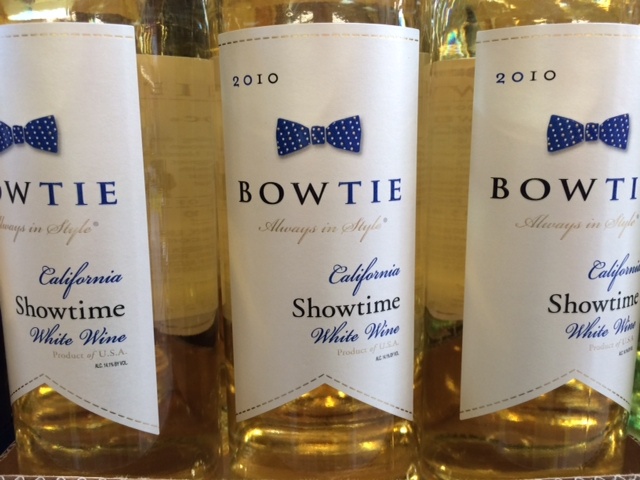 Nice summertime wine – a little sweet with a little bite. It didn’t bite me until I paired it with food.” Karey (my visiting cousin 🙂 thought it was on the dryer side and Connie said it was spicy, but good. On-line review: An ideal wine for the warm summer months, perfectly suited as an aperitif or with freshly shucked oysters & grilled salmon. 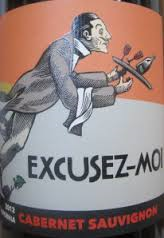 Tasting Notes: Bright pale white and green, this wine shows all the hallmarks of its region with blackcurrant leaf and freshly cut grass and a touch of aromatic passion fruit evident on the nose. The palate is vibrant and fresh with tropical fruit and citrus leaving the wine refreshing and long on the finish. Becky noticed the aroma right away, she said it was buttery like walnuts and tasted smooth. 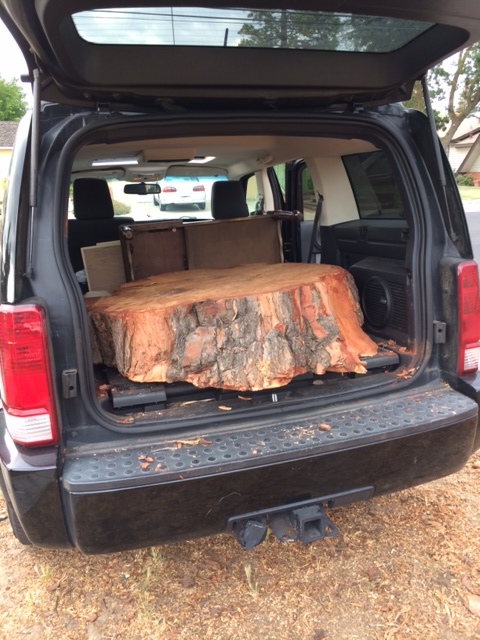 Larry agreed, very smooth and the oak was not overbearing. Connie described it as creamy. 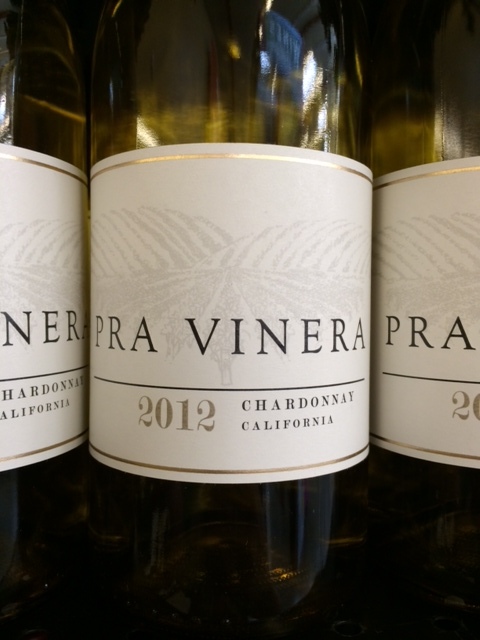 On-line tasting notes: This Chardonnay shows characteristics of tropical and citrus fruit flavors and lemon, pineapple and sweet white peach. These flavors continue on a lush, juicy palate dominated by clean citrus flavors. Some aging in French oak gives the wine additional depth of flavor and a creamy, refreshing mouth feel. 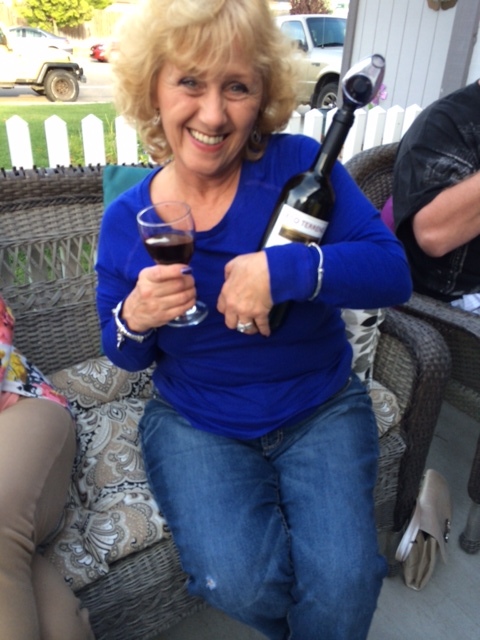 Becky stated that this red blend was good on the noise. Karey took a sip against his will (he doesn’t like red wine) and found that it is actually great with dark chocolate. Arvin said he’s enjoying the legs – nice. Larry said “when you sip it – you feel it”. Terry thought it would be great with Italian food, especially red sauce. Arvin paired it with dark chocolate as well and commented that it made it taste like chocolate covered cherries. Steve agreed, saying that chocolate did the job and Larry said it brings it all together. Upon tasting this wine Connie declared wine tasting over. “No more tasting for me, only drinking!” she confiscated the bottle. 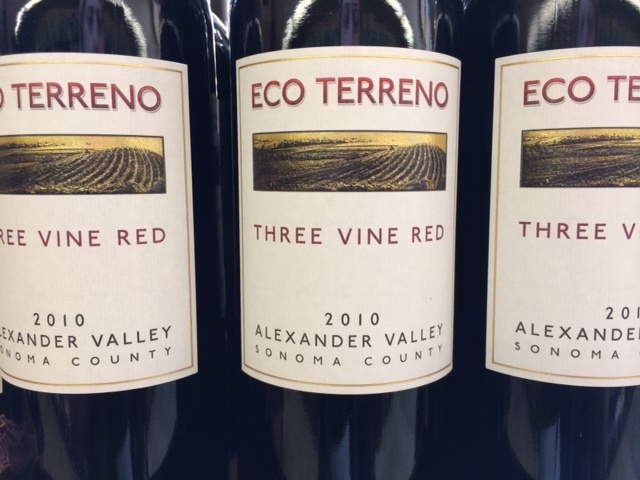 On-line review: We’re suckers for delicious red blends here at The Wine Spies, and today’s exceptional 2010 Alexander Valley Three Vine Red from Eco Terreno had our entire tasting panel reaching for more! This Cab has a very nice garnet color. Karey thought this was also dry and Larry agreed, very dry. Steve liked this at first taste. He said this is his favorite of the night. 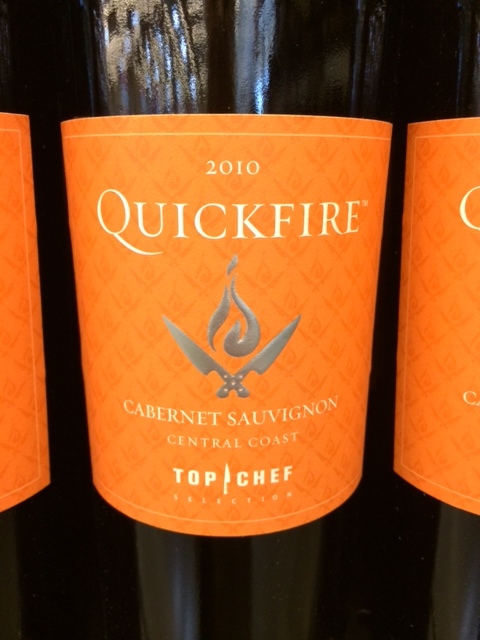 Tasting notes: This Cabernet Sauvignon is complex with various layers of spice and flavors. On the nose you will find enticing aromas of black cherry, blackberry, cassis and vanilla with evident spice from the oak and a hint of herbs. 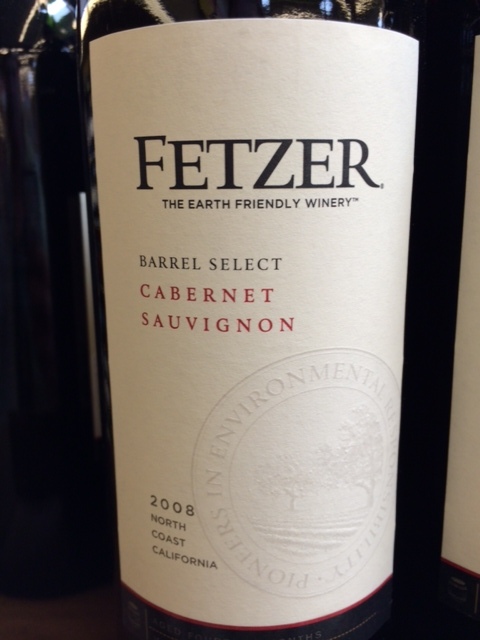 Tasting delivers a multi-layered wine with texture of ripe blackberry, mocha, toffee and vanilla. 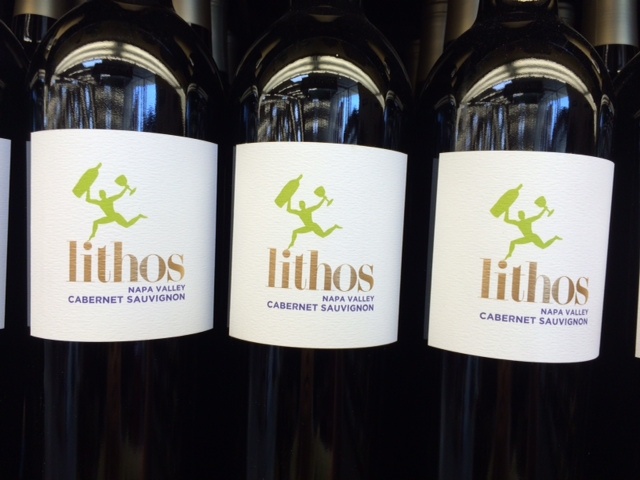 Medium firm tannins provide structure and balance to this medium bodied Cabernet, which will continue to evolve in the bottle. 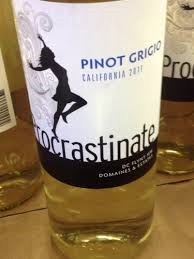 I have to admit, I am a procrastinator. Yep, the queen of putting things off. My house is full of small unfinished projects that quietly wait for me to get a-round-tuit. Silently mocking me. This week they haven’t been so quiet. Steve to the rescue! He went in to work for me, leaving me in an empty house –no kids – no distractions – it was GLORIOUS! An empty house is completely therapeutic sometimes. As soon as they left I made my list and raced to complete it all before they returned. That is a fun game. I painted the patio tables to match the new cushions, painted the kitchen & bathroom baseboards that Jake installed months ago, touched up some spots on the kitchen cabinets, hung curtains in the loft & bedroom, patched & painted the trim on the stairs where the dog ate it (two years ago, when she was a puppy) cleaned my bedroom and washed & put away ALL the laundry. When all the laundry is clean and put away, it really makes me feel like I have my whole life together. 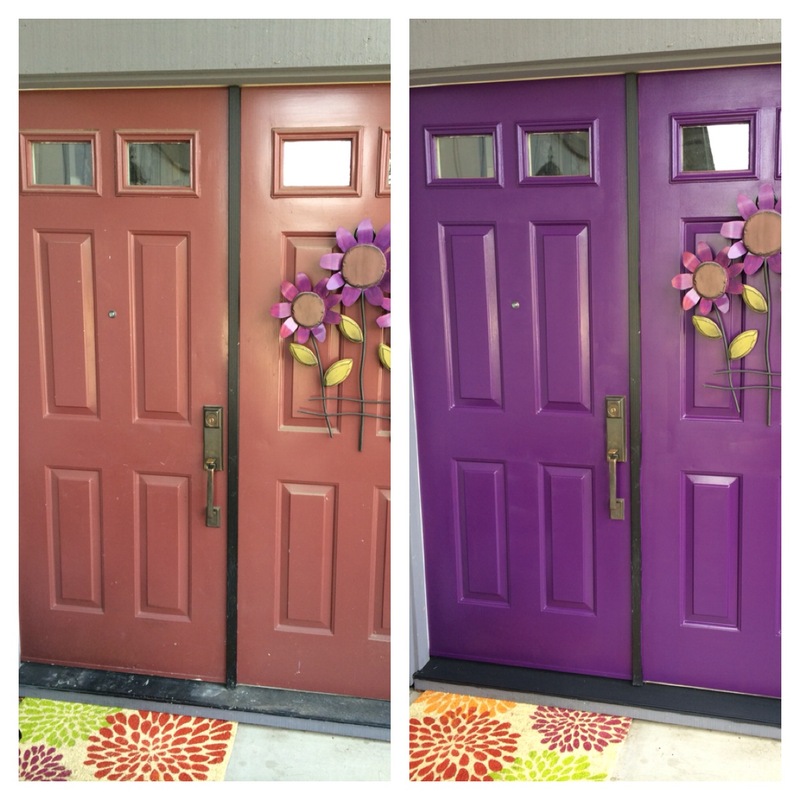 AND finally ***FINALLY*** I painted the front doors! I had been putting that off for months. It was super easy. I mean palm-to-the-forehead-easy! I cannot believe I waited so long to do this. I love it. And Steve? His excitement could barely be contained…. As he walked up to the house he said, “oh, we’re those people now?” Yep. We are. You’re welcome. I also may have fell behind reviewing our Front Porch Wine Tastings… So, here’s the last 2-3 weeks worth (I’ll try to keep the reviews short since there’s so many). Joe S. commented that this was nice and Misty liked that it was not too sweet. Terry didn’t care for it. Joe thought it was good with food and Steve said it was even better with chocolate. Isn’t everything? 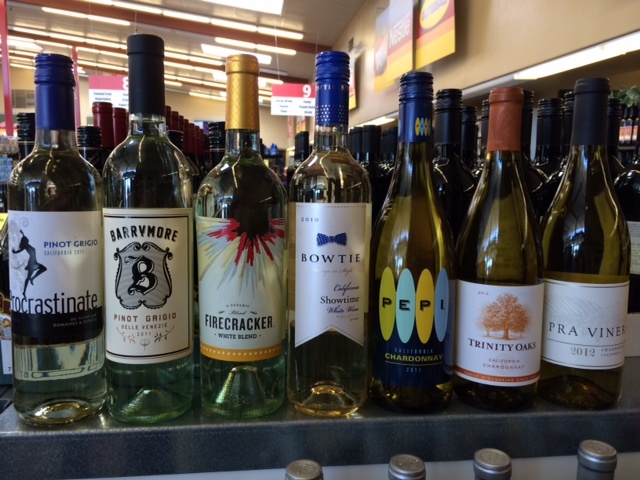 Online review from my Good Friends at ‘The magical world of wines from Grocery Outlet’ had this to say: This full-flavored wine is dominated by juicy acid of lime / green apple, but also shows Pinot Grigio’s pear and straw. It’s pleasantly crisp with a little minerality, and very tasty overall. Misty thought this white blend was light, without a strong aftertaste, it would be nice for 4th of July picnic with that label. Scott and Terry both commented that is was too sweet for their taste. Larry tasted peach or Pineapple & mango mixed. We finished the bottle. 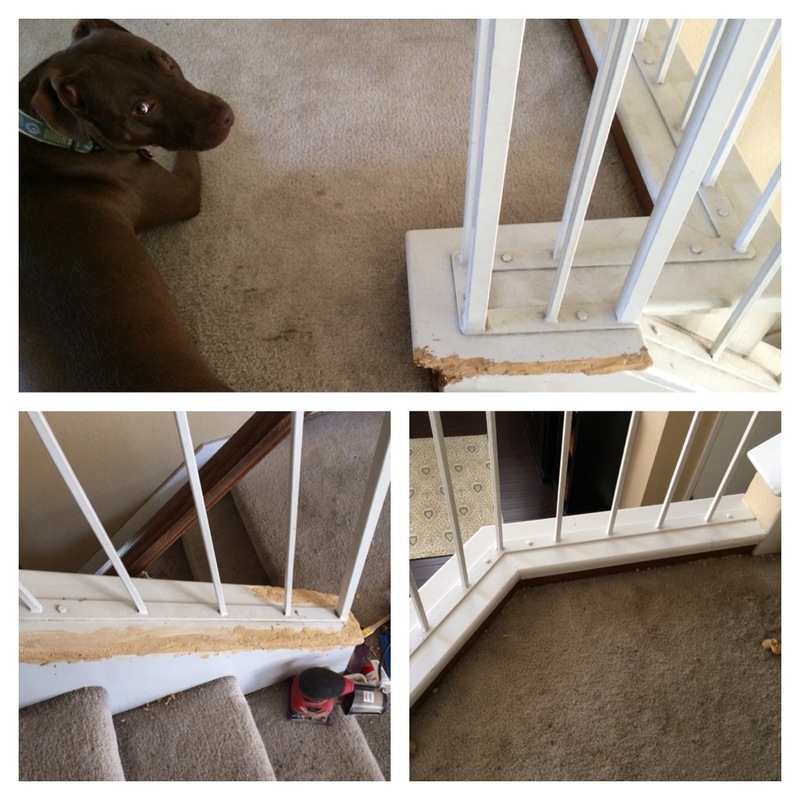 Online Blog Review 4 of 5 stars: Oh boy, this was a nice surprise! The flavors of mango and pineapple are magical here. The wine isn’t real crisp, but it’s smooth and settles well. I would highly recommend this for lighter fare. Arvin commented that this Chardonnay was even better than the last one and Connie agreed, she liked this one. Larry said it was not oaky and Joe R. thought it was clean and crisp. 84 points from this blind taster on Cellar Tracker: Straightforward aromas of lemon, grapefruit and green apple. The palate is full-bodied with medium acid, showing grapefruit and lime mixed with apricot and dried pineapple. No detectable oak. Not very deep or complex, but it’s balanced out quite nicely. I chose this Chardonnay because Larry requested an oaky wine. Well, it wasn’t lol. Terry said it started sweet then mellowed out. Arvin thought it was full-bodied. Joe R. tasted tart-lemoniness, he liked it and also commented that it gets more mellow as you go. The label said ‘sweet oak’, I don’t know what that means, but the sweet was just enough. 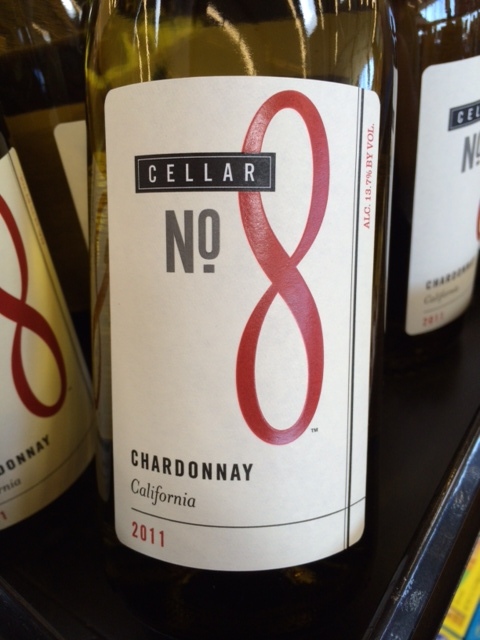 Yes, we have reviewed this Chardonnay in the past but Steve just got it in again so… And, we all agree: We still like it! Larry likes the red! Steve commented that this Sirah had a strong taste and Joe S. thought it was great with chocolate and berries. I love me some Sirah! From the label: Characteristics of black currant, plum and cherry. Well-structured tannins with rich texture and long fruit finish. 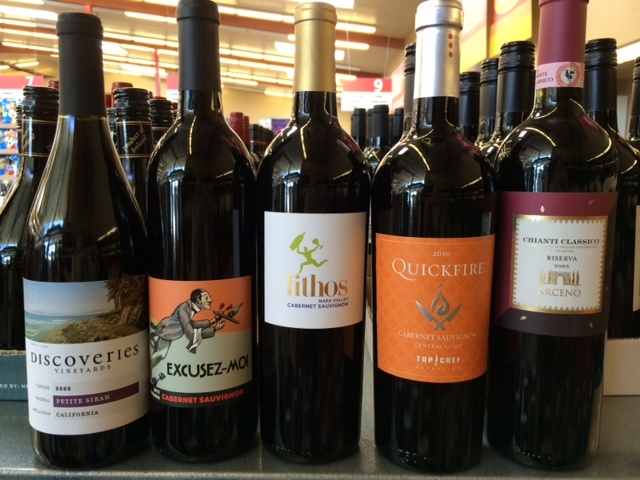 This wine pairs will with prime rib, grilled summer vegetables and tomato sauce pasta dishes. Joe R. commented that this Cab was kinda mild, not too strong. Terry said this was her favorite of the night and that it goes down reeaaallly easy. I thought it was smooth. We finished this bottle, oh yeah! 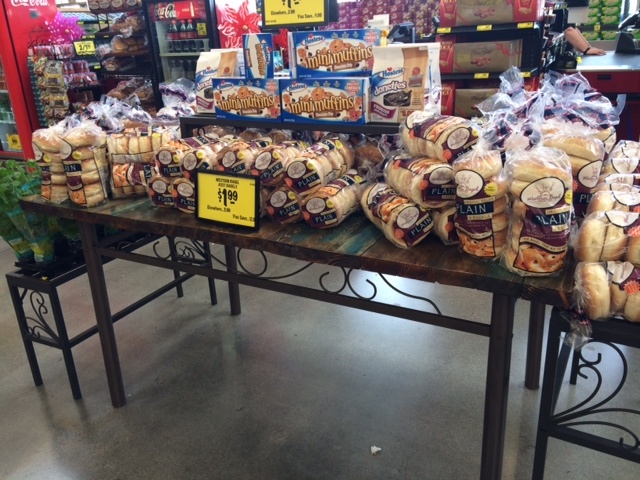 This is a Top Chef Selection from the Central Coast of Ca. 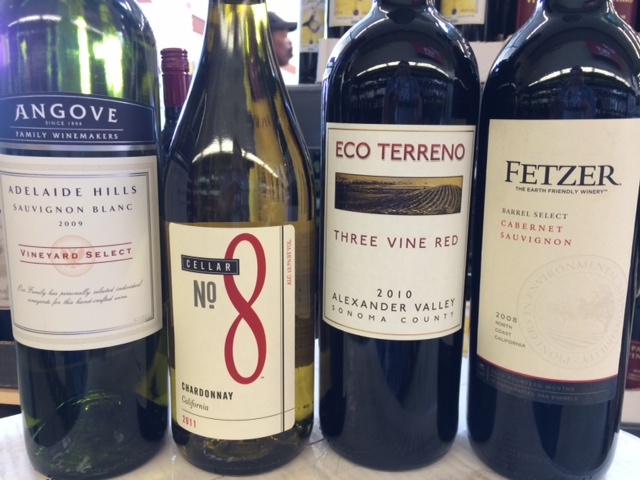 Arvin said it was excellent, a pleasure to drink! Terry thought it was on the sweeter side, yet still dry and Scott said it was full-bodied and full of flavor. 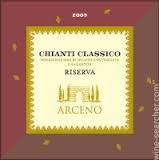 We just had to throw in one of Arvin’s favorites – Chianti. He said after his first taste, “It’s a good one”. Then he had to have a second glass because he ‘forgot’ to think while he drank it, lol. Steve said he loves thoughtless drinking. Joe S. said it’s strong and Becky said it’s smooth. Kerri said it was dry and had a nice flow and it made Terry feel warm. Arvin commented on his second glass: Dry, good aftertaste that lasts on the tongue so you can enjoy it 10 minutes after you drink it. If you made it all the way to the end of this, you are a true fan – Thanks!